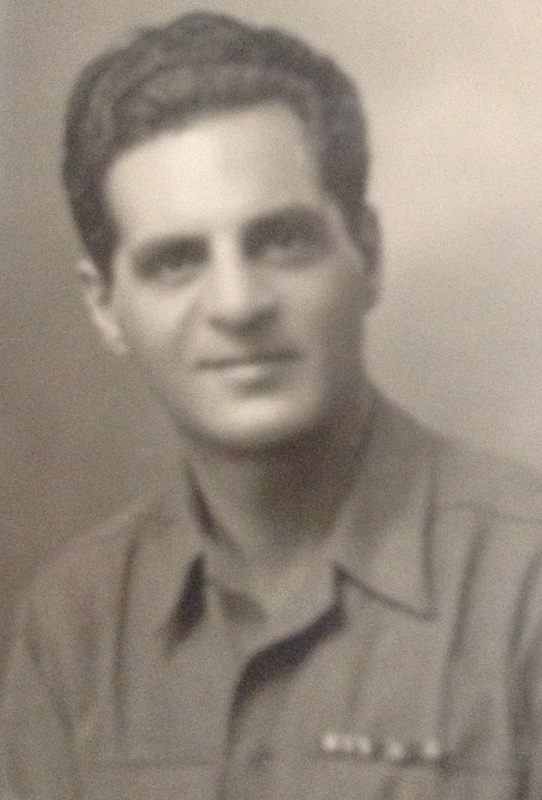 My grandfather, Sam Lesner, during World War II. This year, America’s observance of Memorial Day coincides with the second day of the Jewish festival of Shavuot when we say Yizkor, the memorial prayers in memory of our departed loved ones. We think of them now as on other holidays since they are not physically present to enjoy the festival with us. This year’s convergence of Memorial Day with Yizkor is striking as it comes on the heels of the 70th anniversary of V-E Day when the Allies secured the unconditional surrender of the Nazis. We recall the hundreds of thousands of soldiers who died in the line of service to our country and the Allies in the effort to restore order and justice to the world. We also always have on our minds the six million Jewish martyrs who were slaughtered in the Shoah. Just as we must never forget their death, we also must never forget the brave soldiers who liberated the remnant of European Jewry. In recent weeks, since the anniversary of V-E Day, I have been reflecting on my late grandfather, Sam Lesner, of blessed memory, who served as an Army medic in the European theater, particularly in France and Belgium. He was in the Battle of the Bulge and bore witness to the ravages of war. During his entire period in the service from his first day of boot camp to the day he returned home, he and my Grandma Esther, of blessed memory, wrote letters to each other every day. These letters were preserved, and over the last few years my mother Roberta Bernstein and her sister, my aunt Judy Holstein, have transcribed, edited and organized these letters. I’d like to share a few selections from my grandfather from the last weeks of the War and his reflections on V-E Day as it happened. For several days now truck-loads of liberated victims of the Nazi monsters have been speeding down the highway. I can’t describe just what happens to one as these trucks whirl by and the scarred, dirty, weary faces break into spasms of joy and tears as they shout greetings to us. It hurts inside of you. Today the mail brought me your letter of April 15, a sensitive, poignant expression of your feelings and the nation’s at-large over the death of the President [Roosevelt, on April 12]. Our great loss, however, has become our great gain, our salvation, for the events which are following the complete destruction of Nazism, which should be cause for a Roman holiday — these events, because of our great loss, are being viewed seriously, quietly, as they should be. Far better that we are bowing our heads in prayerful thanksgiving instead of making a mockery of the death cries of our brothers. There has been no attempt here to start a “celebration” of the great victories which are being announced hourly. Just a few minutes ago we heard the news of the millions of “mighty” supermen surrendering unconditionally. Perhaps the weekend will bring the last and final chapter to their horror. I don’t think anyone will feel very gay. Our feelings about this are so deep and so intermingled with the loneliness that pursues us at all times that we are more likely to utter a profound “thank God” and let it go at that. It was about 5 PM today when we heard the official news. We were at chow. There was absolutely no demonstration because every man of us at that instant thought only of home. What are our wives doing? What are our folks doing? What are our sweethearts and friends doing? There was some handshaking and then we returned to the barracks and sat on each other’s’ bunks. “Gee, I wonder how our families feel?” It was repeated over and over and none of us had an answer. But I know what you are feeling, my beloved. Because I am suddenly frightfully lonely, I will follow the crowd tonight. We will simply move in a crowd toward the town and the thing will gain momentum as we go along. I don’t know what I’ll do or what I’ll say. I know, though, that I must move and with each step I’ll hear the beat of my heart. It keeps saying, Esther, Esther, the worst of this is over. My Darling, there is hope now, a real, joyous hope. I must go now, beloved. The day is glorious. Last night I smelled the fertile earth for the first time, and I remarked on it to Max. It was a strange sensation, suddenly being so aware of the fruitful earth. “This is spring at last,” I said, little realizing the morrow would be truly spring again for the world. This day then, May 7, 1945, is the beginning. While much of the world’s war-weary bow their heads, we raise ours high and say “thank God” for His safe guidance and protection. Tomorrow, my Darling, perhaps I can tell you just how it feels. For tonight and every night, my love, undivided, and my thanks for the child you gave me. My Grandfather’s eloquent words speak for themselves and need no augmentation or interpretation 70 years later. I’ll just add that our festival of Shavuot commemorates the pivotal moment when the people of Israel collectively entered a covenant that transformed us into a community bound together by shared obligation. Our Torah was not only God’s gift to Israel, but a gift to the world as a blueprint for justice and human decency. V-E Day symbolized a moment of hope that the global community would stamp out hatred and enter a new era of understanding and cooperation. In 70 years, our world has grossly fallen short of that vision, as my grandfather eerily predicted in post-War Belgium exactly 70 years ago. And yet, we must never forget the heroism of the American GIs who left behind their families and the security of home to fight and defeat the ruthless enemies of that era who enacted unthinkable death and destruction. As we recall our loved ones during the Yizkor service, let us salute those who have served our country and are still with us to bear witness to their trials. Let us also recall with special deference those who are no longer with us who served our country and defended our freedom. Some of them died in the line of duty, and some were blessed to return and rebuild their lives and families. We honor their memory for the Jewish values and the American values that they bravely defended. May the memory of our all of our departed loved ones inspire us to strengthen our country with the values for which it stands and to pave the way for everlasting peace.